Well, it’s no Democratic National Convention, but it was quite a show tonight. I listened to Hillary Clinton’s pretty darned good speech, and then took off for the Egan Center and Election Central. While circling for a parking spot the only person outside was a Nader guy. Gotta give ’em credit for trying. They’re kind of like the Ron Paul people, only their candidate is smart enough not to endorse Don Young. Half an hour and a glass of Chardonnay later, the fun began. Whoops and shrieking in the hallway were heard and Les Gara made the first ‘grand entrance’ of the evening. Then, the big guns (and the big signs) arrived. Ethan Berkowitz came in with an impressive entourage, looking pumped up and ready for the interviews. By this time the numbers were really starting to come in up on the big board. It was obvious that all the ballot initiatives would go down. For a minute I just felt like going home and putting a pillow over my head. Then I remembered the bartender told me there was Tequila. But I just sat and watched for a while, making really sure the numbers said what I thought they said. Clean Elections was the worst…oh, excuse me….I mean “Public Funding of Elections”…which is precisely why it went down. The wording was enough to do it. And for this we can thank Sean Parnell. And speaking of Sean Parnell… at this point in the evening, there was a mere 4 vote split between Lt. Governor Parnell and Congressman Young. I’m starting to think that the mini operation chaos might have had some effect. As a matter of fact, I ran in to three non-partisans who voted for Young in the primary so he’d go down in the general election. It had also become obvious that Diane Benson wasn’t going to be able to win her match-up with Ethan Berkowitz. But, as usual, the woman who first took on Don Young with a credible and spirited campaign, handled herself well and was surrounded by a group of die-hard supporters. The Gabrielle LeDoux and Linda Menard groups had filtered in earlier, with little fanfare. LeDoux was instantly marginalized by the 45-45 Young/Parnell horse race. Menard won her district handily. Erick Cordero, her Democratic opponent in the general election was there too. He’ll have a tough road. Then the Ted Stevens crew arrived. Ted was in and to the news crew before anyone hardly knew he was in the room. He had a steely gaze and walked like he was about to miss a bus. He had a large crowd, but not as large as the Begich bunch. As Ted began his first interview with Channel 2, the rowdy excited chants of Beg-ich Beg-ich practically drowned out the interview. His sign holder stood behind him holding up a campaign sign and clenching her jaw. She stared off in the direction of the chanting crowd just 20 feet away and looked like she wanted to break something. After a few minutes of this, it dawned on the Stevens crowd that all this enemy chanting was not a good thing. Someone weakly started a “Go Ted Go!” and a few others joined in. Sign holder kept giving the thumbs up, directing the Stevens crowd to pick up the volume (see below), hoping they’d drown out the Begich crowd that was so loud that Stevens was obviously raising his voice to be heard. It was almost painful to watch. And, of course, he was less than pleased when questions about the indictment came up. The Begich folks relentlessly tailed the current senator with signs, and some even chuckled at the double meaning of the growing chants of “Go Ted Go!” from the Stevens camp. I have a friend who refers to this race as: The Crook, the Nitwit, and the Other One. On the Democratic side, Ethan Berkowitz leads Diane Benson at this point 54-25. Wow. Change is in the air. Even though there were no results for a Benson vs. Young matchup, and even though we may never get to see it on the ballot again, I’d just love to know. I think Diane would mop the floor with him, and I’d like all her supporters, and Don Young himself to see it in black & white. I’ve been to several Obama events now, and inevitably the question arises – “When is Obama coming to Alaska?” And everyone behind a microphone has the same answer, “The campaign knows how we feel. They know everyone really wants him to come to Alaska. We keep telling them.” This is followed by hopeful smiles, shuffling of feet and occasionally a shrug. Well, tell them again and keep telling them. (KNOCK KNOCK – HELLO Obama Headquarters in Alaska…ARE YOU THERE?) The time is right. The Stevens indictment is the next best thing to a hand-delivered engraved invitation. While it’s fresh in everyone’s mind, an Obama visit would all but guarantee Begich the seat – and throw in Berkowitz or Benson for good measure. And weren’t we promised a visit when those two undeclared Alaska superdelegates went for Obama? And I believe that Alaska is the only state Obama has not visited. The “49 State Strategy”? Hmmmm….it’s missing something. I know…ALASKA. Once again Chris Weigan reads my mind. He wrote another excellent post about Obama coming north ASAP. Thank you, Alaskans, for the warm welcome. And thank you for your support in the Alaskan caucus this year, as well. I am honored to get a chance to speak to you today in support of Mayor Mark Begich for the United States Senate. The man Mayor Begich is running against just got indicted in federal court for corruption charges while he is sitting as your state’s senator. Alaska has seen more than its fair share of corruption these past few years from its Republican officeholders, so this news may not have been as shocking to you folks as it was to the rest of America. Alaskans already knew that the Republican Party up here has been in the pockets of Big Oil for a long, long time. Only now are we realizing, with all the indictments and court cases, just how far that corruption has spread. Which is why I am willing to bet that you won’t see John McCain visiting Alaska before the election in order to support Ted Stevens. Think about that — the Republican nominee for president can’t afford to be seen with your senior senator right now. It’s not because they disagree on the issues. I don’t agree with Mayor Begich on every issue, and yet I fully support his bid for Senate. One of the biggest issues we disagree on is where, and how much, to drill for oil. I know that, up here, drilling for oil equals jobs. But I will be honest with you about my stance, even if I know you may disagree with me — or not vote for me — as a result. And I expect that as senator, Mark Begich will fight for what he believes is best for Alaska, and for Alaskans. I would expect no less — that is the job of any senator. Just got back from the Alaska Women’s Political Caucus Debate for House candidates, aka the “Couch Conference”. 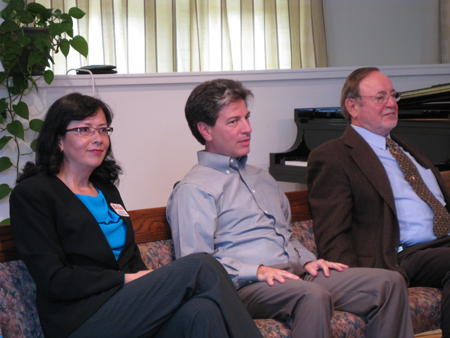 In attendance – Diane Benson, Ethan Berkowitz and Don Young. Glaringly absent – Gabrielle LeDoux and Sean Parnell. I arrived a little late, but walked in just in time to hear Don Young’s position on the Iraq War. Fumbling for a pen, I managed to scribble down “Fully supported ‘invasion of Saddam’ or we would be having a nuclear war with Iran and genocide the likes of which we have never seen.” Yeah, we know. And the smoking gun would have been a mushroom cloud. FYI Don, we actually invaded Iraq, not Saddam. Most of the questions and answers went as you’d expect, and many were softballs. KTUU’s Megan Baldino was underwhelming as moderator and looked bewildered and unsure of the protocol and the questions most of the time. Oh reeeeeaalllly. And exactly WHY should they not be in question? Maybe we should ask the FBI. Ethan Berkowitz did well, but answered a few questions in vague terms, including, “What can you do in congress for the state of Alaska?” He responded by talking about moving forward, looking forward, looking to the future, needing a congressman for the NEXT 36 years, not the past 36 years. But I wanted, and thought he was capable of giving a more substantive answer. Other than that, he was polished, energetic, and engaged. He specifically mentioned his support for Clean Elections (eyeroll from Don Young), which I was happy about. Diane Benson was at the top of her game. She was witty, poised, and unintimidated. My favorite Benson moment followed Don Young’s proclamation that he is-was-and-always-will-be pro-life. She answered that she is pro-life too, which is why she doesn’t support the death penalty, and doesn’t think we should “go to war at the drop of a hat”, but that matters of a woman’s body are private, and between her and her doctor. Zzzing! Her only cringe-inducing moment was when in response to a question about how best to promote women’s issues and fair pay, she said, “Stop electing men.” This was met by a heckle from the back of the room that came from a young uber-Republican guy in a suit, sporting a giant LaDoux bumper sticker on his lapel, who called out in his best frat-boy voice, “Yeah…Vote for Gabrielle!” Benson’s comment may have been true, to a degree, but Berkowitz scored by saying that people should vote for a candidate because of their values, not their gender. The most moronic question of the night? If you could make up a catchy one-line slogan to bring tourists to Alaska, what would it be? All three candidates looked at Megan Baldino and each other like, “Are you kidding?” Don Young even said, “Who makes up these questions?” No one had a good answer, and no one in the audience was surprised they didn’t. Don Young – 2003 Cadillac. Saturn. Evaded the airline question. Diane Benson – “Nothing beats 50mpg on my Harley” (the crowd approved). Honda Element. Dodge Dakota work truck. Also didn’t answer the airline question, but probably not for the same reason as Don Young. There was another interesting Don Young moment during the break. While being serenaded with great piano music (the event was held in the Steinway Piano shop) he danced down the aisle holding an invisible partner with a giant goofy smile almost long enough for me to get it on tape….that would have been my YouTube moment! Oh well. He did seem to be in quite a chipper mood….perhaps he’s watching Lt. Gov. Sean Parnell, his biggest Republican threat, who hitched his wagon to Sarah Palin’s rising star. That star is starting to fizzle, big time, and it’s only good news for Don Young in the primary. More on that later. After the first round of questions, each candidate was given a paper bag with questions on little slips of paper in it, that they drew out of the bag and asked their opponents. Ethan Berkowitz’s last piece of paper slipped under the flap at the bottom of the bag and he couldn’t find it. So Don Young booms out, “And Ethan wants to be a congressman….He can’t even find what’s in the bottom of the bag! HAHAHAHAHAHA!” This was met by crickets and uncomfortable shuffling from most of the room, uproarious laughter from the frat boy corner, and cascades of giggles from the Steinway piano lady, who spent the rest of the evening fawning over him like a lovesick schoolgirl. The evening wrapped up with a 2 minute closing statement from each candidate. Don Young reminded us that even though some people think he’s done badly, he hasn’t done badly. He revealed the horrifying fact that he wants to die in office – “God’s going to replace me some day. I only hope it’s not the voters.” Voters…lightning bolt….either way, he needs to be gone. Palin’s Power Trip – Off With Their Heads! Is this it? I’ve been wondering what it will be that sinks the so-far unsinkable ship of Sarah Palin. So far, despite little chinks here and there in her teflon armor, Sarah the Magnificent has emerged fairly unscathed. Until now, perhaps. There’s been all sorts of buzz and inuendo and rumor about the real reason Sarah Palin fired Commissioner of Public Safety, Walt Monegan. The administration’s official reason was that they wanted to “go in a new direction”. Alaska Public Safety in a new direction? Like….letting the criminals go free? Abandoning rural Alaska to fend for itself? Martial Law? Anyone who’s been paying attention has been pretty impressed with Walt Monagan’s integrity, work ethic and genuine commitment to the Troopers and the people of Alaska. New direction? We didn’t get it. Palin buddy and brand-new Commissioner of Public Safety Chuck Kopp, (who replaces Monegan, the ‘chucked cop’) made a statement mumbling something about “looking forward to moving forward” and not commenting on prior leadership…which is code for “There’s a story here, and I’m not going to tell you what it is.” That usually means the story is worth knowing. Bloggers and other interested parties began pricking up their ears, and waiting for the inevitable leak. Well, the leak turned out to be a tsunami in the form of a blog post from Andrew Halcro titled “Why Walt Monegan Got Fired: Palin’s Abuse of Power.” I strongly urge everyone to read it. Here’s the gist of what he claims. But the second, and far creepier reason, the one that surely will be setting the blogosphere on fire and accelerating her fall from the ivory tower if it is substantiated, is this. Let me preface this by saying that no…I’m not making this up. Stay with me. Sarah Palin’s younger sister Molly used to be married to Mike Wooten. Mike Wooten has been an Alaska State Trooper for the last 8 years. Molly and Mike went through a messy divorce. The Palins were not pleased. Halcro relates a truly bizarre series of events that can only be described as ‘stalking behavior’ committed by the Palin family against Trooper Wooten. Notes on windshields, threatening phone calls, Todd Palin (Sarah’s husband and Alaksa’s ‘First Dude’) taking pictures and sending them to Wooten’s supervisor. There were a total of 25 complaints filed against Wooten. Each time, an Administrative Investigator would review the complaint, find it unfounded or not substantiated, and dismiss it. The other side of the story is that Wooten is no angel…extramarital affair, dry tasering his step-son (he says at his step-son’s request),…..it goes on and on. Another Alaskan political bad movie. Fast forward to 2008. Now, Sarah Palin is the Governor. “Twice in the last few months complaints were filed by the governor’s office accusing Wooten of improperly using his patrol car. Both times he was visiting his kids at school and both times he had permission from his sargent. The last complaint came in May after Todd Palin saw Wooten pulling out of the school parking lot and six days later the complaint landed on Wooten’s supervisor’s desk. During the legislative session this past spring, Palin reportedly told Commissioner Monegan to fire Wooten because he was giving Troopers a bad name. However Monegan said he would do no such thing. A short time afterwards, it was discovered that confidential material in Wooten’s Administrative Investigation file had been released to his ex-wife and her attorney. This drew outrage from the Public Safety Union as well as the Commissioner. AI files are strictly confidential and can only be released with the written signature of the Trooper, but yet no one could explain how the detailed confidential information was released. Reportedly, both Commissioner Monegan and Colonel Audie Halloway warned that if they found out the file was leaked by the governor’s office, they would pursue charges. You may now pick your chin up off the desk. Where will this all go from here? Local mainstream media is picking up the story, as is the Associated Press. Will this little nugget be featured in the upcoming Wall Street Journal article on Palin? How about People Magazine? Is the image of the squeaky-clean, hockey mom who hands out cash forever sullied? Have her VP chances just gone up in a puff of smoke? Will she be thrown under the Straight Talk Express Bus?? One can only wait and speculate. In addition to Halcro, Celtic Diva is hot on the trail with a report from the latest press conference, as is Anchorage talk radio, including KUDO 1080am which should have plenty to say tomorrow. Governor Palin herself has just released a statement. “critics have taken this to rediculous extremes”, “false allegations”, “outrageous” and my favorite, “It is unfortunate, as we seek to address a growing energy crisis in this state, that this matter has been raised now.” Yes, perhaps it would have been more polite to wait until we have a gas line to talk about why Monegan was fired? Nice try. You can read the governor’s entire statement HERE. And to Ethan Berkowitz and Diane Benson, I say, lean back, enjoy the popcorn and see how Lieutenant Governor Sean Parnell fares in his House race if Palin goes from Queen of Light, to millstone around the neck. We live in interesing times. Comments : Comments Off on Palin’s Power Trip – Off With Their Heads! Show Me the Money! Dems Clean Up. And now, the best for last…. (drum roll please)…..Alaska’s Senate Race. This is good on so many levels. 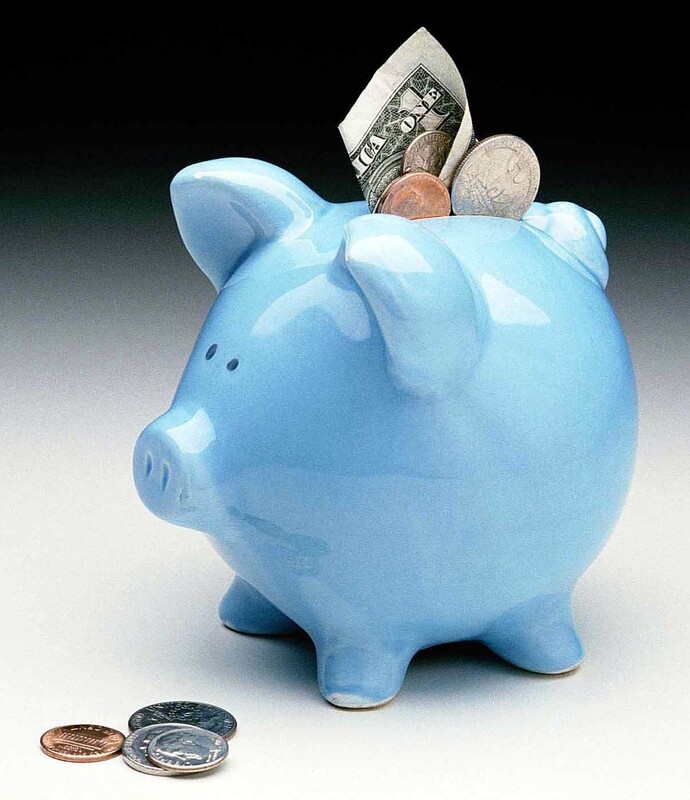 First, most of the contributions for Begich are $100 and under indicating strong grass roots support. Second, its not only more than the formidable Stevens money machine could raise, but it’s a LOT more. Third, being able to use the phrase “more than a million dollars” has to feel good to the Begich folks. And just for fun, if you add together all the Republican fundraising this quarter (even including Gabrielle LeDoux’s gift to self) you end up with $1,202,616. The Democrats? $1,364,272. Nice. Considering the lobster-like redness of the state of Alaska, this is monumental. What about Ray Metcalfe you are wondering? Couldn’t find any information on his fundraising, although it may exist somewhere. But I did notice that on his website he’d prefer Barack Obama for president, but would be willing to support Hillary Clinton if she gets the nomination. Does Ray know something we don’t know about a coup attempt at the upcoming convention, or did he just forget to update the website? Inquiring minds want to know! Comments : Comments Off on Show Me the Money! Dems Clean Up. Remember as a kid when you used to guess which superhero could take the other one in a fight? Spiderman vs. Aquaman, Batman vs. The Lone Ranger, Underdog vs. Quick Draw McGraw…. The possibilities were varied, and dominated much schoolyard conversation between 2nd and 6th grade. The latest Don Young rediculousness makes me wonder…who would win if the A-Team took on the Wolfpack in a superlobbyist fight? 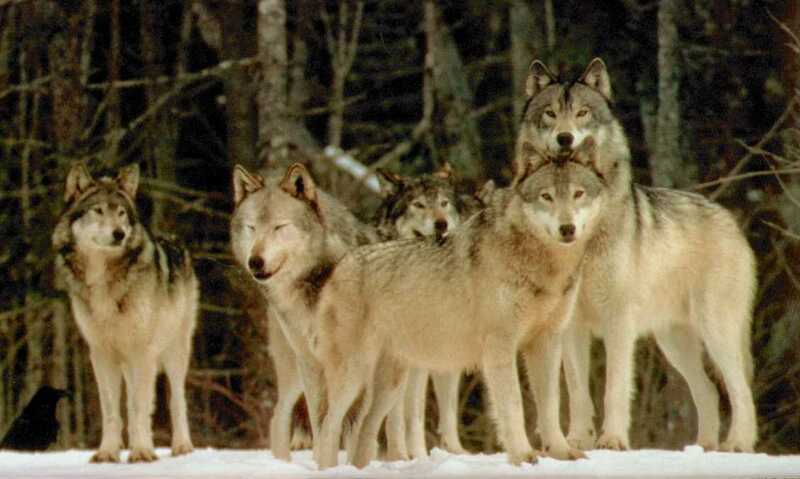 But then I realized that the nine lobbyists on the ‘A-Team’ were actually also IN the 29-lobbyist ‘Wolf Pack’. So if you are on the A-Team, you are also in the Wolfpack, but Wolfpack membership doesn’t necessarily mean you’re on the A-Team. So to have this hypothetical showdown, the A-Team would have to defect FROM the Wolfpack, which could complicate things. But still, it could be done. 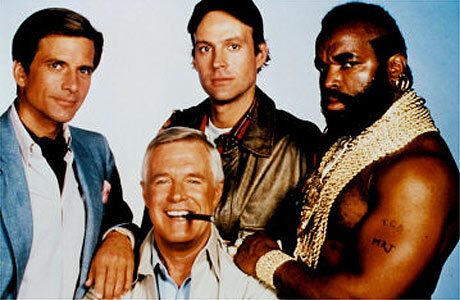 After defection, the A-Team would still be outnumbered about 2 to 1, but they’re some heavy hitters with extra lobbyist superpowers… I’m thinking it would be a close fight. But of course, the greater issue here is that a 75-year old congressional representative, the one and only “Congressman for all Alaska” thinks it’s cool running around making up stupid names for his lobbyist buddies because….what….he’s frozen in time as a 12-year old? What’s next, a handwritten sign on his office door that says “No Democrats Allowed”? A secret Corrupt Bastards handshake? A big Republican Treehouse in Washington? Ooooo. Maybe the Wolf Pack and the A-Team could reunite, and ambush John McCain’s “Truth Squad” on the “Straight Talk Express”! They’d never see it coming. A nickel says they could take ’em! Are you in? (spits on palm) Shake. As we contemplate the new American “Bad Guy” (the lobbyist), in all its incarnations, enjoy this awesome offering from the satirical mastersite – The Onion. You won’t know whether to laugh or cry, so do both. And a note to Berkowitz, Benson, Begich and the rest of the Democratic lineup. Please no ‘teams’, ‘packs’, or ‘squads’ – we’re all adults here.